Near Fine in Fine jacket. Book. 1st ed/1st printing, SIGNED by the author on the title page. This book is square, solid, and unread; the boards are solid and unblemished, and the dust jacket is sharp and protected by a protective Brodart cover. No price clippings, no remainder marks. You'll feel like ordering some black coffee, throwing a few head butts, and feeding an evildoer a knuckle sandwich once you have this book in your hands! NOTE: One flaw--on the inside of the front board, behind the flyleaf of the jacket, is what appears to be the former owner's name and a date. You wouldn't even see it unless you took the jacket off, but I did, it's there and--so noted. Very Good in Very Good+ jacket. Signed by Author Autographed sticker on dust jacket front. Several pages dog-earred. Expedited or International shipping may cost more. Fine in Fine jacket. Book. 1st ed/1st printing, SIGNED by the author on the title page. This book is square, solid, and unread; the boards are solid and unblemished, and the dust jacket is sharp and protected by a protective Brodart cover. No price clippings, no remainder marks. You'll feel like ordering some black coffee, throwing a few head butts, and feeding an evildoer a knuckle sandwich once you have this book in your hands! Fine in Fine jacket. 0385340575 First Print. First edition. Signed by the author on the title page. NOT inscribed, clipped or otherwise marked. Dust jacket in protective cover and shipped in a box. Complete # line 10987654321. Fine in fine dust jacket. Signed. First Edition. Signed by author. First edition. DJ is new in condition. We have 1.5 million books to choose from--Ship within 24 hours--Satisfaction Guaranteed! Fine in fine jacket. A novel in the Jack Reacher series. Book is in fine shape, like new. Tight binding, sharp corners, no markings, writing, or soiling. Book appears unread. Jacket fine also showing no signs of wear, like new. Not price clipped. First edition. Signed by the author in person, signature only. In protective sleeve. An excellent collectible and in gift-giving condition. Fine+ in Fine+ dust jacket. 9.29 X 5.51 X 1.57 inches 441 pp; First British edition. Author Signed. Book and jacket look new. Signature is without dedication, just the signature. Comes in a clear archival dust jacket cover. ; Signed by Author. Very good in very good dust jacket. SIGNED by author on title page (signature only). 1st UK edition, 2nd printing. Dust jacket has edgewear. Slight shelfwear to bottoms of boards. 'Signed by the author at Waterstone's' sticker. 448 p. Audience: General/trade. A Jack Reacher novel by the author of '61 Hours' and 'The Killing Floor'. Where possible, all books come with dust jacket in a clear protective plastic sleeve, sealed in a ziplock bag, wrapped in bubble wrap, shipped in a box. Fine in Fine jacket. Book. Signed by Author(s) Binding is clean, tight and straight w/ sharp corners; very slight bump at htail of spine; dust jkt is clean and bright w/ no tears or stains; very slight wrinkle at head of spine; not price clipped or remaindered. Wrapped in Brodart Mylar. The 13th Jack Reacher novel and another great thriller from Child. SIGNED BY THE AUTHOR ON THE TITLE PAGE. and I'm proud to have discovered this Alibris bookstore. Will not hesitate to order any other books from them. As with all the Jack Reacher novels it is fast paced and interesting. I have really gotten into reading the Jack Reacher series by Lee Child. All the books are fast-paced, exciting thrillers. This one was especially interesting and the reader ends up finding out many unexpected things about the characters. This one was impossible to "figure out" ahead of time. Although, I realize some sharp reader may do just that. Excellent read. 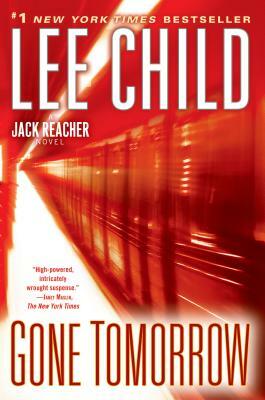 If you like Jack Reacher books, this is a fine one.